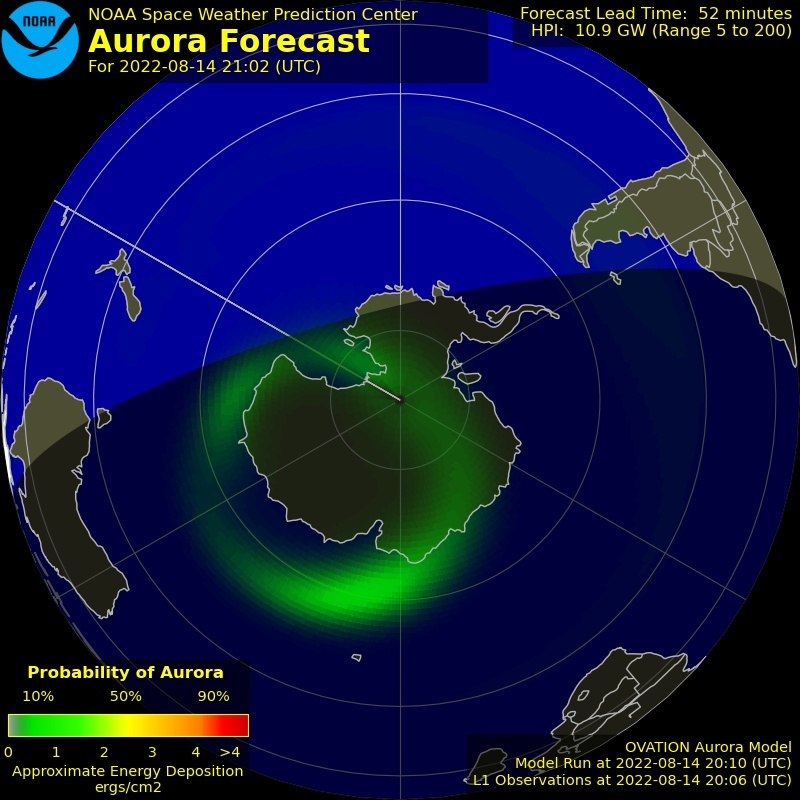 CLICK-2-LEARN | WHAT IS SPACE WEATHER? (Apr 20 1012UTC) Minor solar flares have begun erupting from the departing sunspot as it leaves our visibility – they are aimed 90 degrees away from earth. 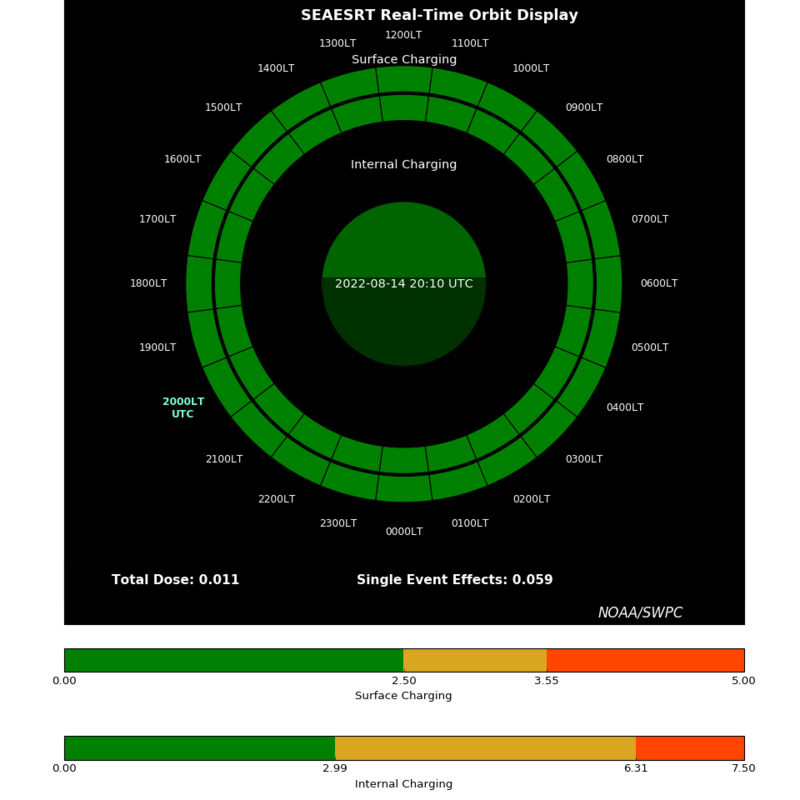 (Apr 19 1053UTC) All space weather is calm. 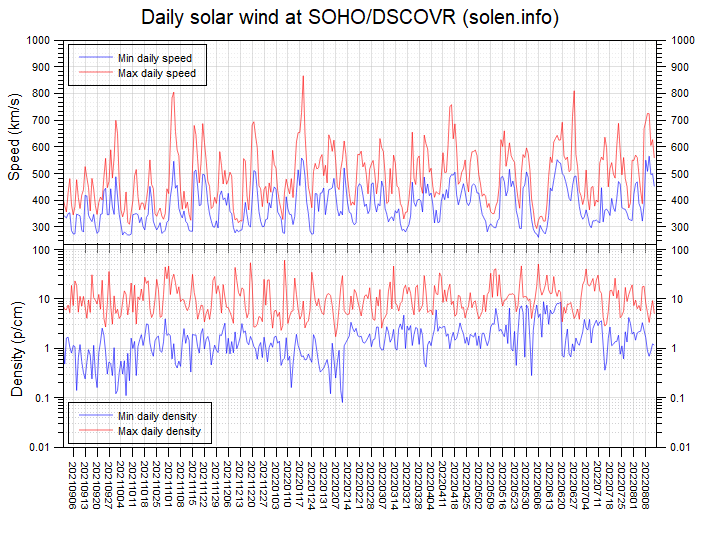 Minor solar wind fluctuations are possible the remainder of the weekend, but are not expected to bring significant effects. SOLAR FLARES (X-Rays) ~ Learn about solar flares here. Learn about all the things you are seeing on this page in less than 1 hour. 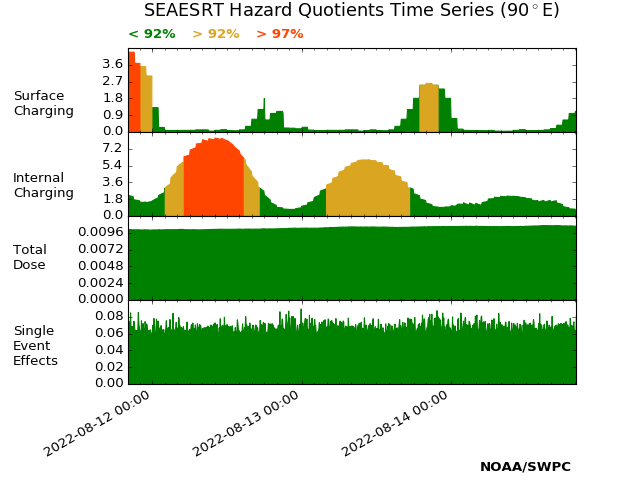 Space Weather disruptions show as large spikes. 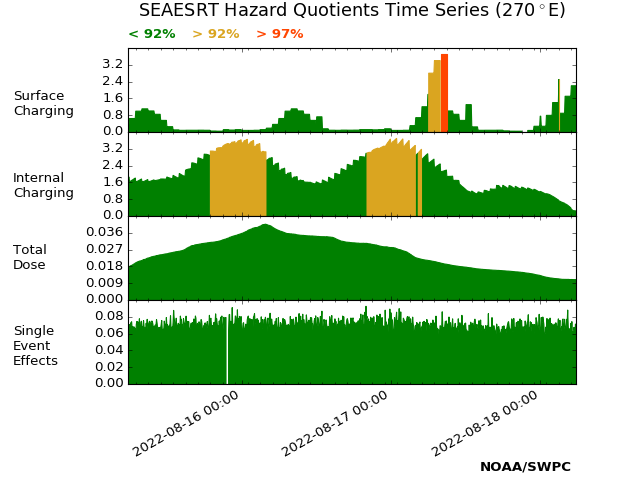 Space Weather calm shows as smooth curves. ENLIL Solar Wind Spiral; Shows magnetic sector boundaries and CME events. GOES Proton Flux - This shows the High Energy Proton bombardment. The dotted line represents the " level 1 radiation storm" baseline and each incremental level upward is another level of storm conditions. 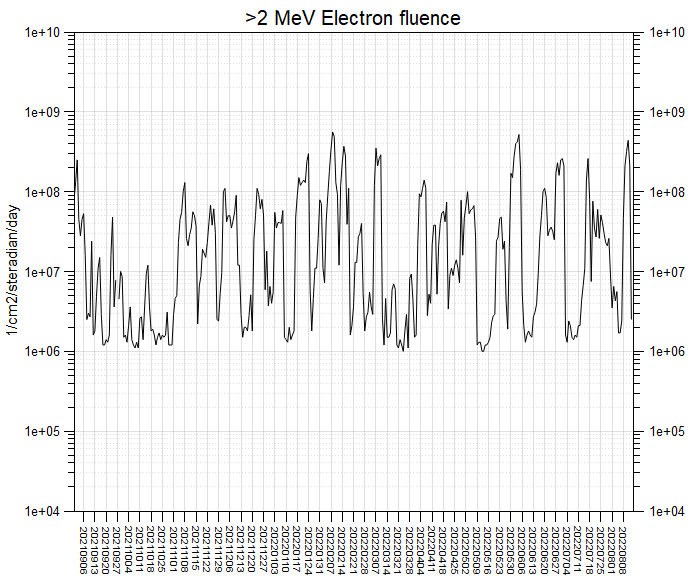 GOES Electron Flux This shows the High Energy Electron Bombardment. 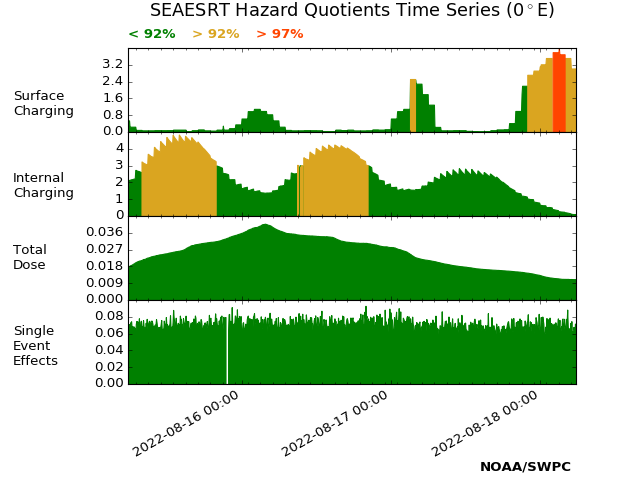 The radiation storm levels occur when the Red/Blue curves cross the dotted/hashed line. Each factor of 10 (next line up) represents a higher level of radiation storm. The 6 charts above are simple. Green is good. Yellow is approaching charging levels. 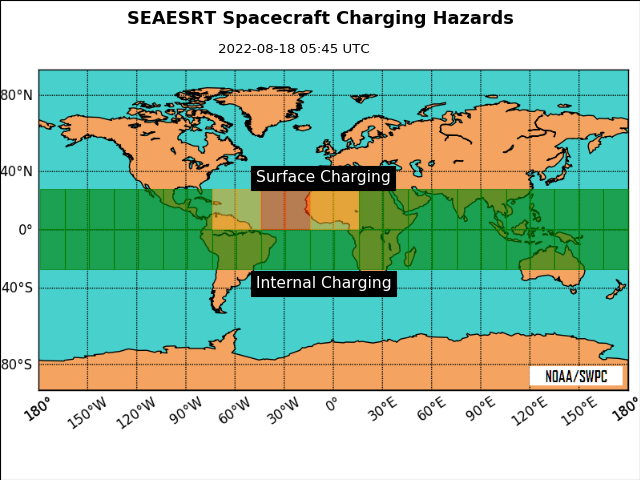 Red is satellite charging hazard. If you see lots of Red here and a KP of 9 following a large solar flare or other solar eruption (and then your internet and power go down) there is a chance the sun has taken it away. 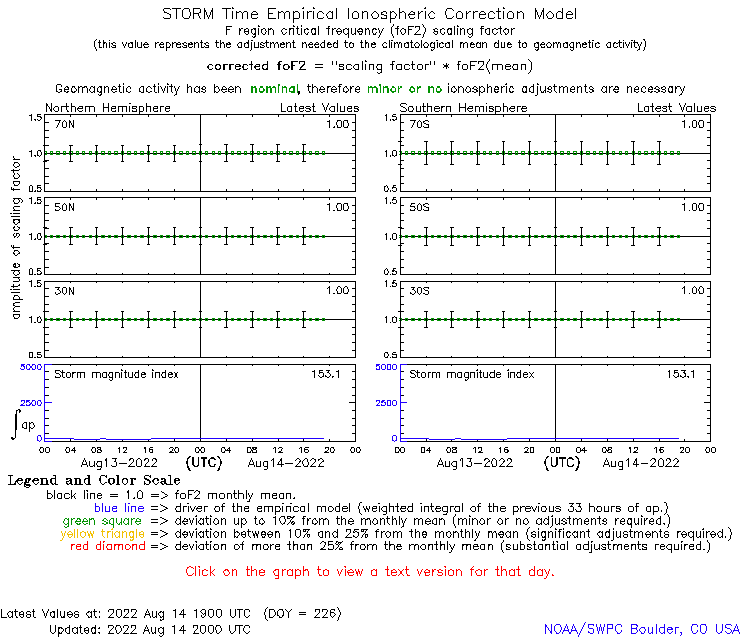 The chart above shows the critical frequency of the F2 ionospheric layer. Also see the explanation for the TEC display to the right of this panel. Quiet periods have smooth flat lines. The disruptions here are to the ionosphere. 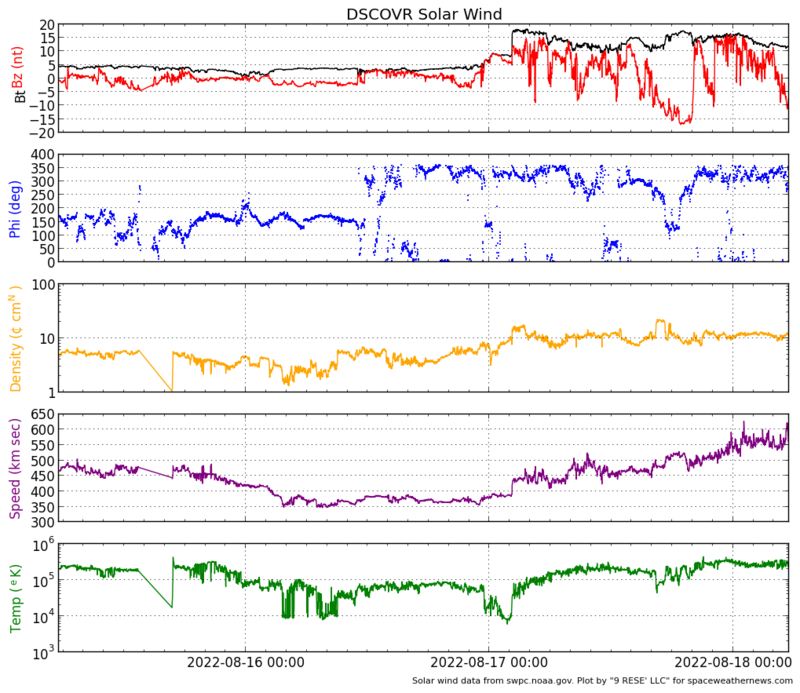 This TEC chart is from the German Space Weather Application Center. With dozens of similar charts online. 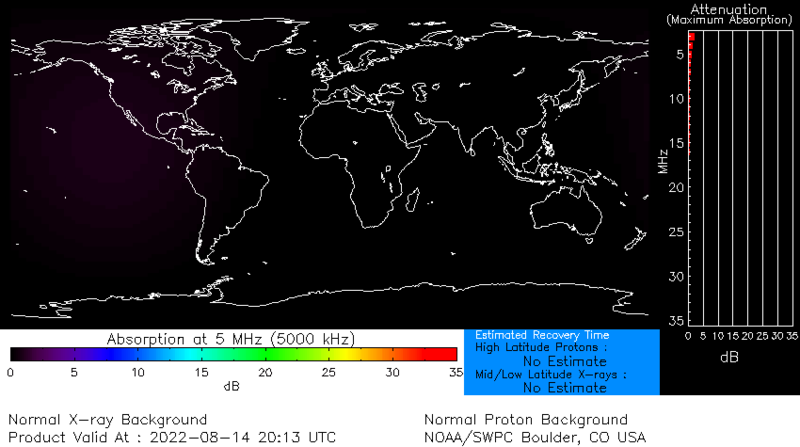 The Three D-RAP Charts above show Atmosphere and Ionosphere Effect from Space Weather. Top chart – always show any flare irradiance. 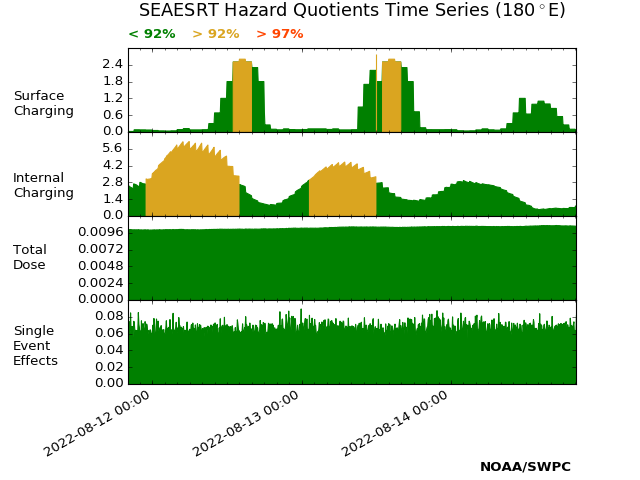 Center chart – shows effects at radio blackout levels. 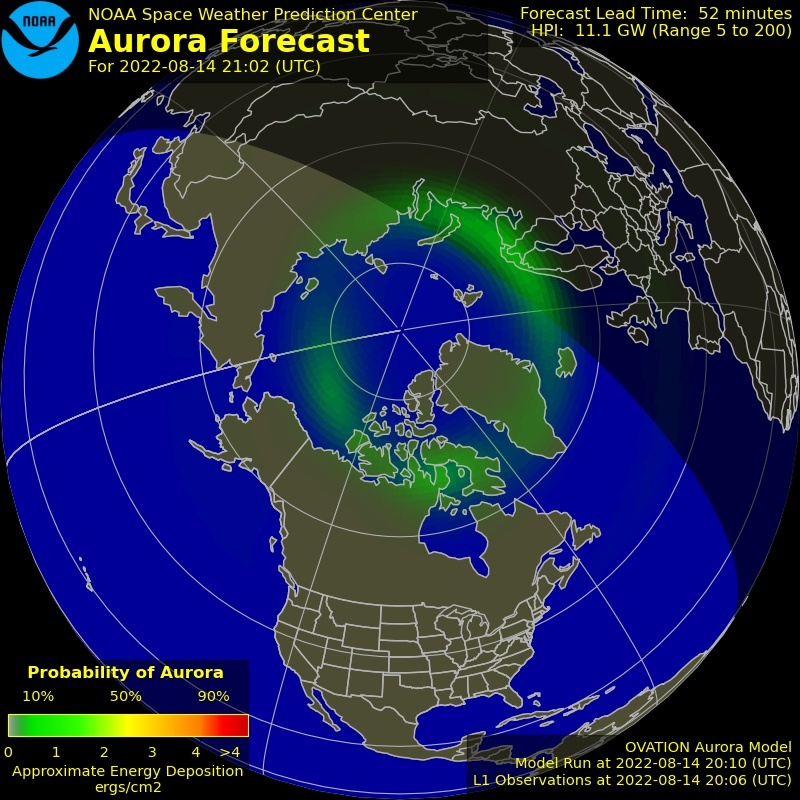 The bottom chart – lights up during major events. This chart shows the forecasted and observed high energy electron bombardment in near-earth space. This shows the current sunspot number and tracks it since 2000. This cycle was weaker than most, one of the weakest on record. It appears we will soon descend into solar sunspot minimum, but on the descent we may see powerful (albeit fewer) solar flares. Geomagnetic maximum lags 1-4 years behind the sunspot maximum, due to late-cycle flaring and coronal hole activity. When Ap finally descends from maximum it will help signify the beginning of the next sunspot cycle. 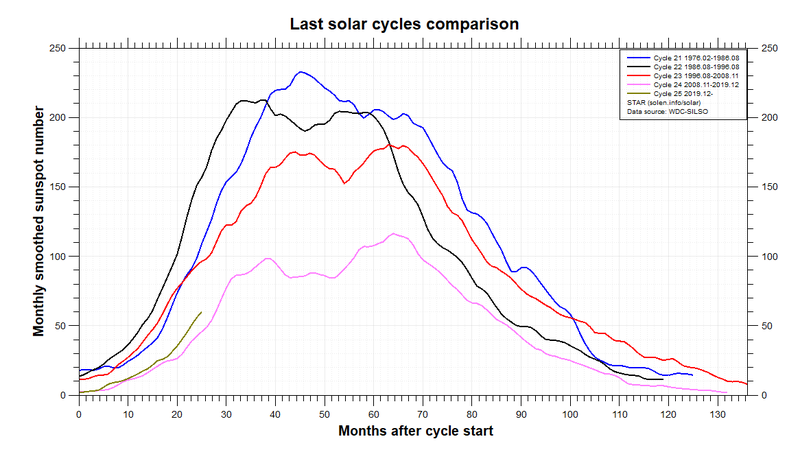 This chart is yet another one from Solen.info – it shows the current solar cycle sunspot counts compared to previous cycles. This free resource is supported by Suspicious0bservers.org.